Before the next flood on the Clark Fork River, some in the Orchard Homes area would like Missoula County to buy their property, but they’re going to have to wait. 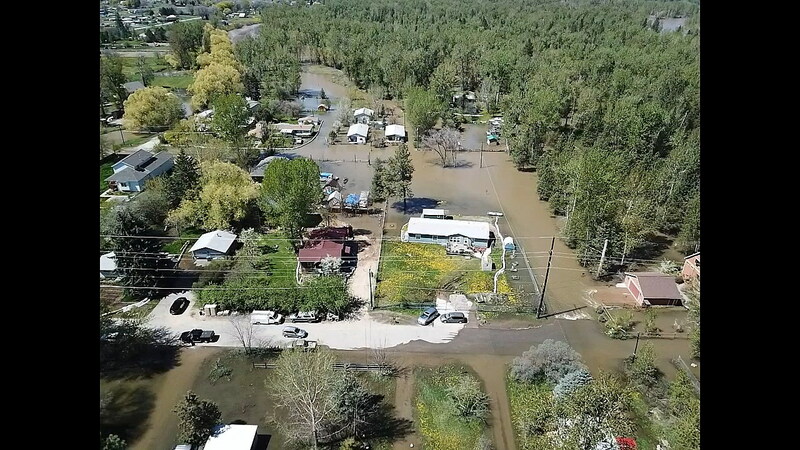 After the Clark Fork River overflowed its banks last spring, the county and the city of Missoula began trying to diminish the effects of future flooding. One of the possibilities was for the county or the city to buy the affected properties and convert them to open space, thus restoring the floodplain. When asked, 13 homeowners indicated they’d be open to selling. “In a perfect world, we would have the resources to do a global buyout of anyone who has been affected by flooding and who was willing to sell their property. But the reality is Missoula County doesn’t have the resources to do that,” said Commissioner Dave Strohmaier. In search of more money, Adrienne Beck of Emergency Services looked into federal funding. But prospects didn’t improve. Missoula was one of nine counties in Montana that qualified in November for a portion of $1.5 million as part of disaster relief from the Federal Emergency Management Agency. Seven other counties were awarded similar funding in August. Missoula County’s portion of that goes to reimbursement of $189,000 spent on responding to the emergency last May. Strohmaier said he’d hoped for some of the money FEMA dedicates to floodplain buyouts, but Montana’s share of that ends up being about $250,000 for the entire state. At Missoula’s land prices, the entire sum would barely buy one property. Plus, FEMA money comes with a number of requirements. The property owner must have FEMA flood insurance, and much like assessing the cost of a car damaged in a collision, FEMA money can only be spent on the portion of the property that was damaged. Several of the Orchard Homes properties are elevated, so they sustained little or no damage even though the land was underwater. Beck said she hasn’t given up on the search for funding, but nothing will happen before this spring. In December, the commission agreed to have the U.S. Army Corps of Engineers repair the damaged levee that had been built to protect the Orchard Homes area. In a cost-share deal, the county will have to pay about $200,000 of the $1 million price tag.